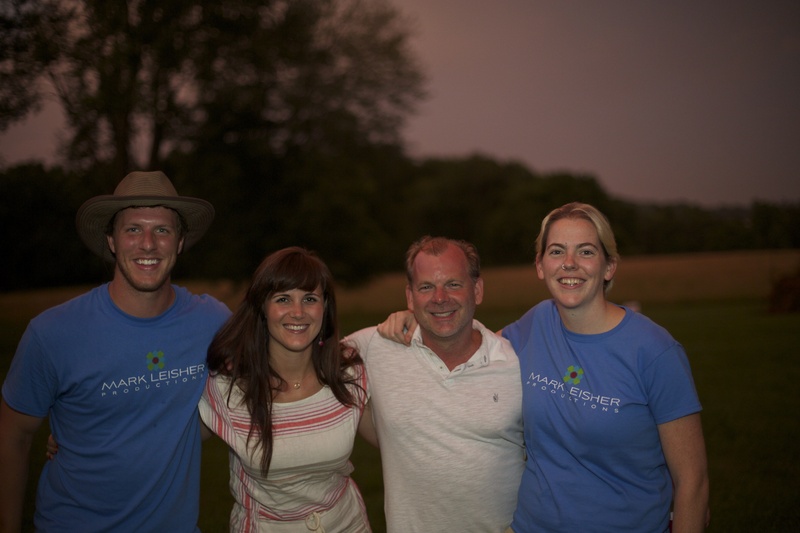 MLP staff: Shane Yaeger, Tiffany Jones, Mark Leisher, and Susanna Parker. A lot has happened with Mark Leisher Productions (MLP) over the past two years. The most exciting development for the Bethesda Green Incubator company is the addition of three new team members — Videographer and Editor Shane Yaeger, Production Manager Tiffany Jones, and Social Media Manager Susanna Parker. Shane traveled with Mark to document The Beach Boys 50th Anniversary tour last summer, a working relationship that went so smoothly that Mark asked Shane to come on as a partner in the company. Tiffany and Mark met a year ago, when they worked together on the Reel Water Film Festival. Tiffany joined the team in March, supporting client communications and expanding the MLP brand. Mark first saw Susanna’s work for the Bethesda Green blog, where she was a weekly contributor. He realized that, as a growing company, they would need someone dedicated to social media and brand management, increasing awareness of current and upcoming projects. Mark Leisher Productions has kept busy, creating commercial and marketing videos for a variety of local companies, co-sponsoring the 2nd Annual Reel Water Film Festival, and developing two feature films: a documentary about the Underground Railroad and a psychological horror film. Additionally, MLP has begun offering brand management and social media marketing services to clients, creating engaging videos and marketing them to increase their reach and impact. Through it all, Mark has remained dedicated to increasing awareness of sustainability and the green community. MLP continues to co-sponsor the Reel Water Film Festival, works with Active Nature to encourage river stewardship in the paddling community, and supports fellow Bethesda Green Incubator companies by helping them create and market promotional videos. MLP has also worked with Lori Hill of Sister Eden to develop her brand as “Your Guide to Living the Green Life.” The team has created videos, managed social media relations, and developed content for the Sister Eden blog. The future is bright for Mark Leisher Productions, working to make the video process fun, engaging, and simple. 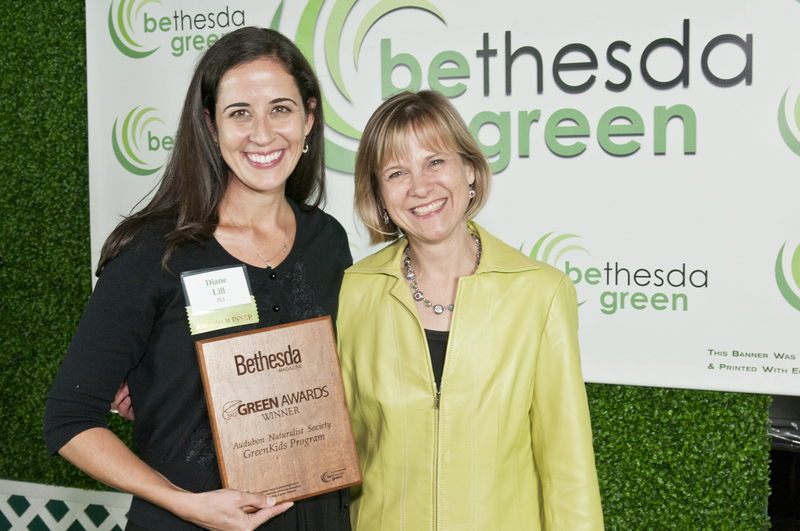 Register to Attend the Bethesda Green Gala, October 7! 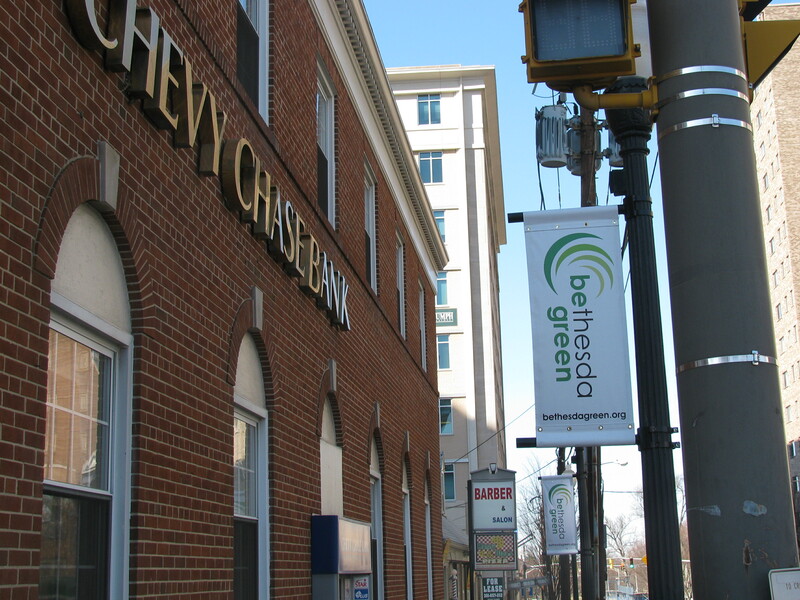 Here at Bethesda Green, our mission is to serve as a model for environmentally sustainable living and business practices — and to grow new green businesses in our Bethesda Green Business Incubator. We provide information to people and organizations about reducing waste, improving energy efficiency, and building cleaner, healthier communities; and we help guide the nascent green firms in our program. Now we want to recognize the environmental efforts of the Green Champions in our community, those people, businesses, other organizations and communities that are walking the walk when it comes to green living and business practices. Please join us for a celebration! The evening will include the presentation of the inaugural Bethesda Magazine Green Awards, heavy hors d’oeuvres, beer, wine, and a dessert reception. Plus we’ll have a silent auction of environmentally friendly gifts and services. 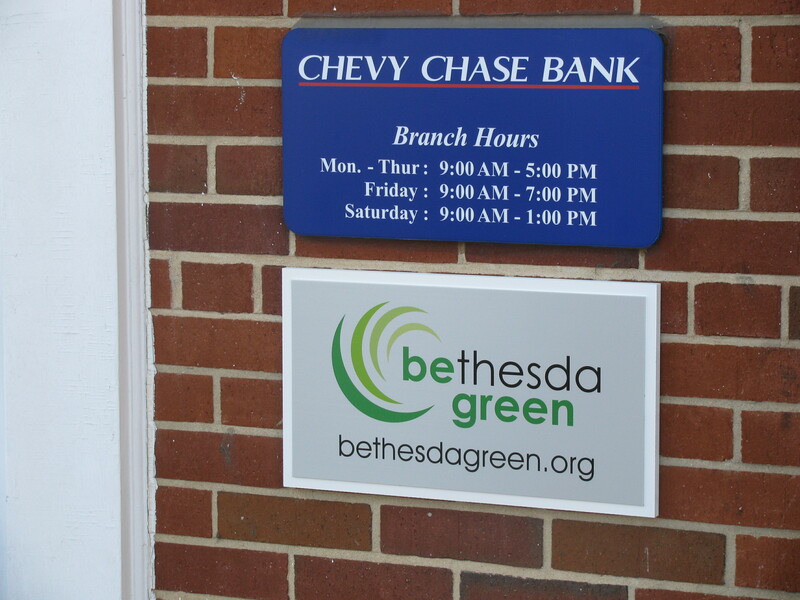 We received more than 120 nominations for the Bethesda Magazine Green Awards. 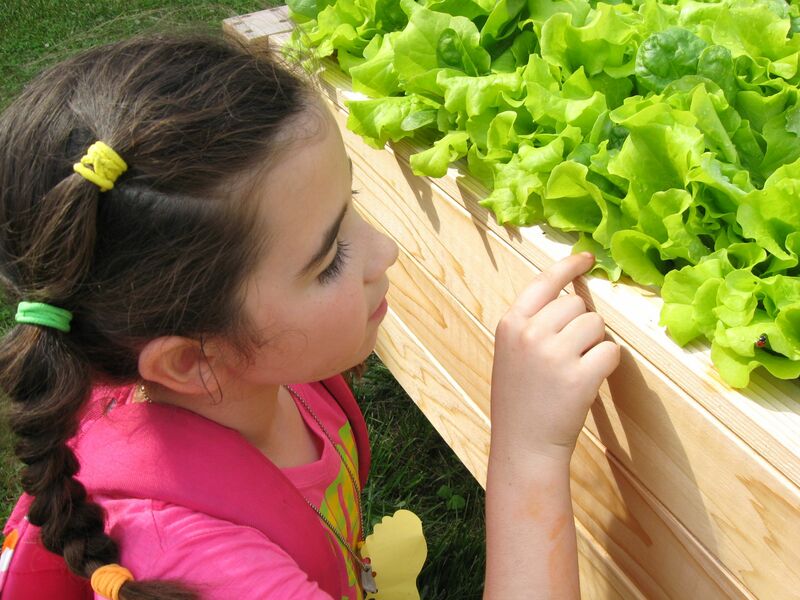 From these, a panel of judges chose 7 winners in 5 categories: People 18 and younger, people 19 and older, communities promoting and implementing green practices, businesses or non-profits that have created innovative green products or green services, and businesses or non-profits that have significantly incorporated green practices into their culture and operations. Come out and celebrate green achievements! Visit the Bethesda Green Gala web page for details and registration information. March 8, 2010 marks an important date in the growth of Bethesda Green. Today, courtesy of Trevor Stone and a generous in-kind contribution from Jack Stone Signs, new street signs festoon the lamp posts outside our office. The Landover, MD-based company also added a sign to the front door (see below) and another inside in the lobby area. We’ve occupied the space above the Chevy Chase Bank branch for a little more than a year. Then, in late summer, Donohoe Construction Company led a team of subcontractors and suppliers that completed a major build out in October 2009 as we officially launched our Education Center and Green Business Incubator. And, we’ve got more changes coming soon, to the interiors and the banners we display at events. A sign may not seem like much, but we feel it’s an emblem of what we’ve accomplished, a symbol of permanence that we’re moving in the right direction with much more yet to come. Thanks to everyone for making it happen. The Maryland Greenhawks basketball team – the nation’s first “green” professional sports team — held its inaugural press conference November 18 at the Bethesda Green offices. Formerly known as the Maryland Nighthawks, the team plays in the Premier Basketball League (PBL). This year the team embraced environmental conservation and changed its name. Their uniforms will be made from environmentally friendly materials, such as bamboo or recycled plastic, and the team will work with Carbonfund.org to offset the carbon footprint created by its home games, travel and corporate headquarters. In addition, the Greenhawks will conduct a sneaker recycling program with Nike. The public may be able to participate in this; stay tuned. At the press conference the Greenhawks introduced their first two draft picks — Byron Mouton, a former member of the University of Maryland’s national championship team in 2002, and Travis Lay from American University – as well as players Scooter Sherrill and Daniel Artest. League president and CEO Tom Doyle described the Greenhawks as the “first sports franchise that’s green,” and said the team will be going into the schools to bring the green message. 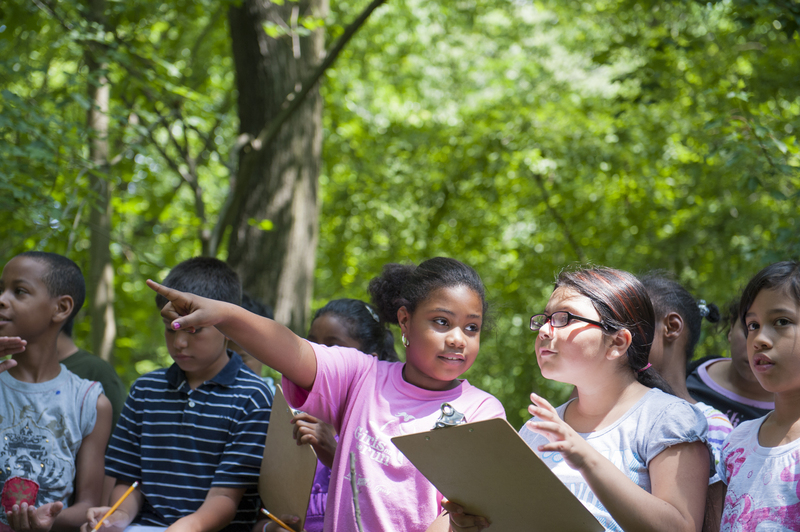 Doyle said the team’s outreach to kids will go a long way to creating a generation of conservationists. Mouton said kids seeing the Greenhawks on the court as a green team will help the youngsters realize environmental conservation is a priority. The Greenhawks will play their games at Wootton High School; their first home game is January 16. Tickets are $10 for adults and $5 for children 12 and under. RSVP now for this Sunday’s Team Obama Earth Day House Party with Bethesda Green Executive Director Dave Feldman scheduled as a featured speaker.